Scorpio is the 8th zodiac sign, it represents a powerful mind and transformation. People born between 24th October and 22nd November, are highly determined and intuitive. The ruling planets of Scorpio is Pluto, giving a certain mystical charm and secrecy to them. The planet Pluto is known as “the great re-newer” which accounts for Scorpios being dynamic and flexible to changes. Read on to find out more about the best sign of the zodiac: Scorpio. Scorpios are considered to be some of the most powerful signs of the zodiac. They are blessed with an enormous amount of willpower so giving up is absolutely out of question for them. They make sure they get where they want to, by any means possible. Often they are the ‘best of the best’ in life, as their perseverance has no limits. One of the other major strengths Scorpios have is their ability to focus. They not only know exactly what they want but also they can stay focused all the way and learn everything to achieve their goals. They are often fearless in going after what they want. If a Scorpio-born has decided on something, it’s almost impossible to divert them from their path. Scorpios are some of the most faithful and trustworthy friends or partners you will come across with. You can always count on a Scorpio friend, and he or she will always stand by you if they had promised they would. Scorpios are synonymous to loyalty. They are extremely loyal to love, family or friendship. Scorpios, being a water sign, are sensitive people. Often they don’t seem too sensitive and emotional as they keep most of the deep feelings to themselves. With their powerful instincts they can easily read the mind of other people. 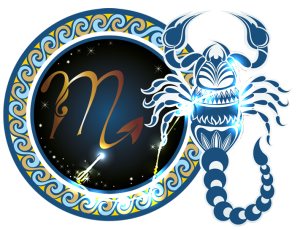 Scorpio-born are lead by their instincts and gut feeling, which is why they don’t fail often and they take the right decisions at the right time. Scorpios are driven by passion. No matter what they do, they deeply embed their emotions in it. In relationships they give one-hundred percent and they never stop pouring love. They are usually great in expressing the love for their partner. Scorpio is one of the most sexually passionate sign of the zodiac. If there is a word to describe Scorpio, it would be: independent! They don’t mind being on their own and they have a high degree of self-sufficiency. They hardly rely on anyone be it work or daily life. They are very adaptable and versatile. They are just as happy to be the life of the party or to stay home alone. Scorpio’s effortless charisma is something that is everybody drawn to. With this engaging and sometimes provocative magnetism they can hypnotize people into submission. Scorpio is always ready for a party, they love being in the center of attention, making everyone laugh. Scorpio’s energy emanates throughout the room and life is never boring with them. Scorpios are great listeners, giving full attention to their friends in need. There is no doubting the friendship of a Scorpio. They are always there, at any given hour, in any given situation. A Scorpio friend is one of the best friends you can have, they are not afraid to stand up for their loved ones. If you need help, nothing is impossible for a Scorpio. Besides being dependable, Scorpios are also fiercely loyal. You can always rely on your Scorpio friend or partner, he or she will build you up when you’re feeling down and will always tell you the truth. Scorpios are known to always have the backs of their friends and family, and they expect the same devotion in return. The ruling planet of Scorpio is Pluto, which is the planet of death and transformation. It gives the Scorpio the ability to get through any difficult life periods no matter how difficult it seems. The influence of Pluto can result in the Scorpio being magnetized towards danger or even self-destruction. However, Scorpio’s greatest superpower is that they can always to transform and regenerate themselves. Just like scorpions in the animal kingdom that heal broken limbs.